Analysis: Jones finishes his second season with 56 catches for 652 yards and seven touchdowns, more than doubling his rookie production of 27 catches for 316 yards and two touchdowns. 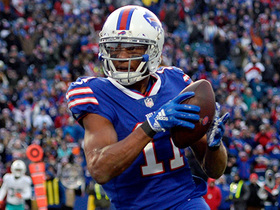 Buffalo will surely look to improve its receiving corps this offseason, but if the Bills stand pat, Jones would enter next season as quarterback Josh Allen's top target. Analysis: Jones' stat line looks nice upon initial viewing, but most of his value was derived from scoring a 31-yard touchdown in garbage time. 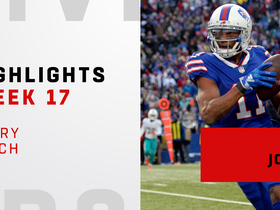 He'll continue running plenty of routes as a starting wide receiver for the Bills against the Dolphins in Week 17, but don't count on erratic rookie quarterback Josh Allen getting the ball to Jones with any regularity. 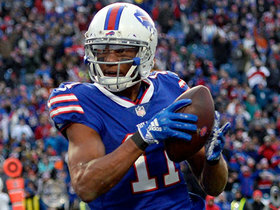 Analysis: Jones struggled with drops throughout the afternoon, producing an underwhelming stat line despite leading the Bills in targets. He's alternated rises and drops in receiving yards in every single game this season, and Jones is likely to keep that pattern going by exceeding 22 yards against the Lions in Week 15. 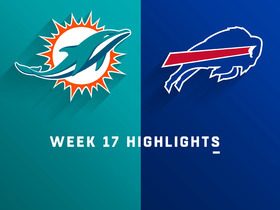 Jones brought in four of nine targets for 67 yards and two touchdowns in the Bills' 21-17 loss to the Dolphins on Sunday. Jones was unable to gather his only target during Sunday's 24-21 win over the Jaguars. Analysis: Jones' best play of the day actually came on special teams, when he recovered the Jaguars' last-ditch onside kick. That's probably a disappointment seeing as how he had season highs in catches, targets and yards last week against the Jets. 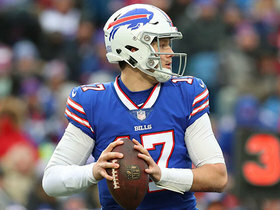 Jones needs to get a better rapport with rookie as quarterback Josh Allen, as he has averaged 28.8 yards per game with Allen starting as compared to 43.8 yards without him. A matchup against a middle-of-the-road Miami defense awaits next week. 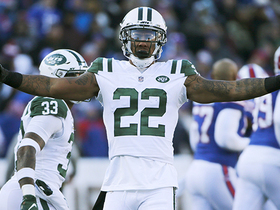 Jones caught eight of 11 targets for 93 yards and a touchdown in Sunday's 41-10 win over the Jets. 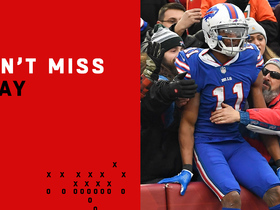 Analysis: Jones came close to scoring in the first quarter, but he fumbled while stretching out at the 1-yard line; the ball was picked up by Jason Croom in the end zone for a Bills touchdown. The second-year wideout got a touchdown of his own courtesy of an eight-yard catch in the third quarter. This was easily his best game of the season, as Jones showed an excellent rapport with new quarterback Matt Barkley. 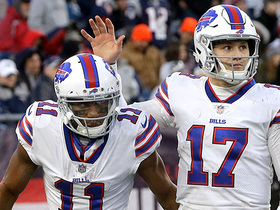 It will be interesting to see who starts under center for Buffalo after the Week 11 bye. Jones caught four of six targets for 18 yards during Sunday's loss to the Bears. 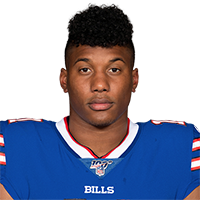 Buffalo Bills quarterback Josh Allen escapes pressure and completes 31-yard TD pass to wide receiver Zay Jones. 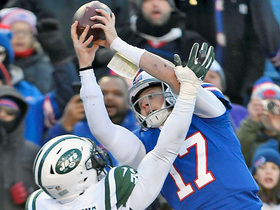 Buffalo Bills wide receiver Zay Jones pass attempt to quarterback Josh Allen is incomplete. 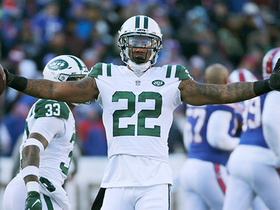 New York Jets cornerback Trumaine Johnson intercepts Buffalo Bills quarterback Josh Allen's pass to end the game.